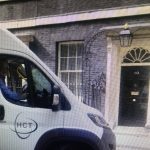 High quality, safe, accessible and affordable minibus, battery-powered scooter and wheelchair transport thereby increasing community engagement and participation and improving the quality of peoples’ lives. High quality and flexibly delivered minibus driver (MiDAS) courses and related training. Good quality reusable furniture and household appliances at reasonable prices to those who may otherwise struggle to afford such items. Our charity is guided by the following four values. We strive to ensure that they are embraced at all levels of the organization, from day-to-day activities by employees and volunteers to key strategic business decisions. Deliver the highest quality of service to our customers and display a friendly but professional approach towards colleagues, customers and members of the general public. Our charity encourages its employees and volunteers to work together and a mutually supporting team in an atmosphere of respect, common purpose, unconditional cooperation,helpfulness and friendliness. We believe in the merits of diversity. We embrace people’s visible and invisible differences, be it age, gender, sexual orientation, ethnicity, nationality, religion or working/thinking styles, capabilities, preferences and needs. We value the richness and variety of ideas and approaches that result from these differences. We are committed to provide high quality training to all staff and volunteers so that they can deliver the highest standard of service to our customers. In addition, we will always strive to improve the quality and delivery of our services to our customers. We are committed to continuous improvement across everything we do and we actively endeavour to instill this ethos as part of the culture of our organization. To ensure that customer expectations are fully met and that we actively develop relationships with them so that opportunities to improve our services can be identified and implemented. To ensure that everyone and every organization that can benefit from the services offered by the charity are fully aware with special effort being made to reach minority groups within the community. To achieve growth each year in the number of customers using the services provided by the charity. To ensure the financial stability of the charity and thereby achieve its longevity.